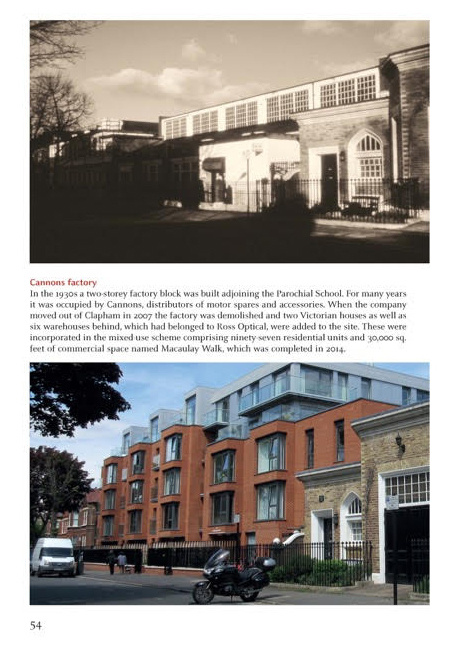 Clapham Through Time is a collection of photographs of Clapham past shown beside the same view shot in 2015), with a short descriptive text, writes Alyson Wilson. 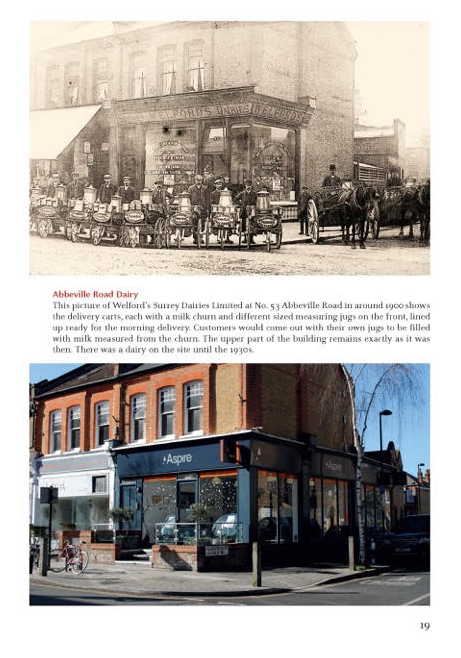 ‘Although Claire and I used some classic Edwardian postcard views of the area, as well as a few pictures taken by the local photographer Henry Deane in the 1840s, we also used photographs taken within the last 50 years, specifically to show how the area has changed in the lifetime of many local residents. The ‘gentrification’ of the area and increase in land values has made it worthwhile for developers to build on sites, bomb-damaged in WW2 which remained derelict or in short-term use, for many years. Factories have closed, to be replaced by housing. Coffee shops, wine bars and estate agents have taken over in the traditional shopping streets, but often the changes are only at ground level and by looking up you can see the older building intact. ‘We wanted to show that some buildings have survived and been adapted to new uses and others have been demolished and replaced, and that bomb damaged churches have been replaced or restored. As interesting as the buildings are the changes in the people and their clothing, and transport from trams to buses, bikes and buggies. Clapham Common is unchanged, except in its use and the pictures of wartime use are particularly interesting. 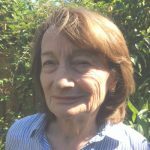 ALYSON WILSON has lived in Clapham for nearly 50 years and has always taken a keen interest in local history. 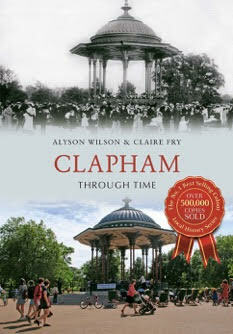 Alongside her career as an art historian and researcher, she has written and edited several books about Clapham. 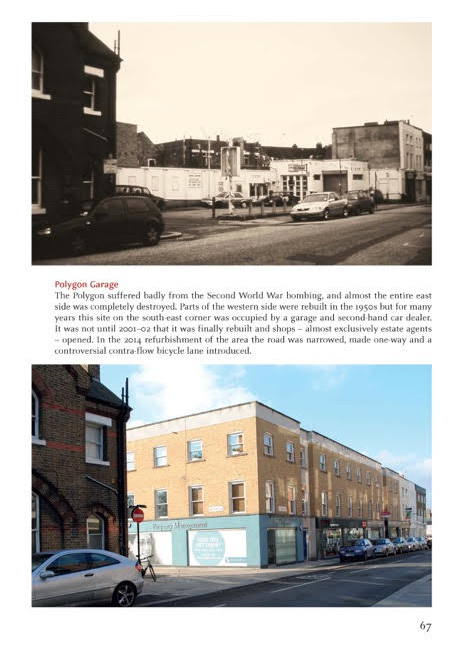 She is a member of the Clapham Society’s Local History Sub-committee, and gratefully acknowledges the opportunity to draw on the extensive research and images provided by other member of the group and past historians of the area. CLAIRE FRY is a graphic designer who has lived in Clapham for over 30 years. She has a special love of the Common, where she walks her dog. 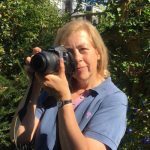 She has a strong interest in the changes that have taken place in Clapham over the years, and records these regularly with her camera.Clapham Through Time is available on Amazon, and stocked by Clapham Books, SW4 and Waterstone’s, Clapham Junction.